LEKKER Bikes US Has Arrived in Greensboro! As a thrift lover and someone who loves supporting local businesses, it's wonderful when those two loves can be combined. I have been a long-time lover of vintage and thrifting and there is something about vintage clothing and old films that just has a classic feel to me. Knowing this, I was amazed as I sat in Downtown Greensboro a few months ago and saw a young lady riding a retro bike. Little did I know that LEKKER Bikes US, creator of Dutch designed retro and single speed bikes, was soon coming to Greensboro, North Carolina. I had the awesome opportunity to interview the company's owner, Will Holt, and his wife in Downtown Greensboro a few weeks ago. I met Will at their LEKKER location and even got to see the infamous bike that's been seen around Downtown Greensboro and even on local news. 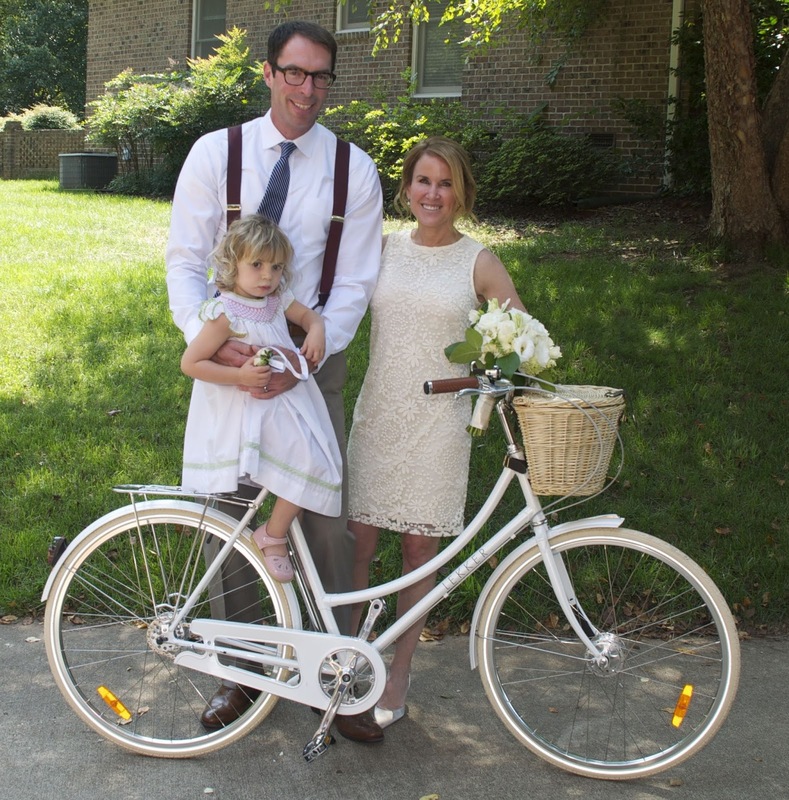 Will decided to open LEKKER Bikes US here in Greensboro, North Carolina because this is their home. LEKKER Bikes US come in three categories: Amsterdam, Sportief and Jordaan. You even have the option to create your own bike. With accessories like leather saddles and grips in a variety of colors, you can personalize it make it your own. Prices begin at $448. I personally fell in love with the Jordaan. It has a gorgeous, vintage feel. The Amsterdam is perfect for men too! LEKKER Bikes US is taking pre-orders now. To learn more, visit their website or e-mail Will at willholt@lekkerbikes.com. I truly enjoyed speaking with Mr. and Mrs. Holt. They are genuinely great people and I wish them the most success with their business. What a cool company to join Greensboro! Have you heard of LEKKER Bikes? Are you a fan of retro/vintage bikes? That's just gorgeous, especially with the basket! What a cute bike! I'm kinda partial to the rugged quality of a mountain bike, seeing as most of my riding is done off-road. But, these are so cute.. and I love the basket. You can't beat a bike with a basket! I never heard of these bikes before but I do love vintage styled bikes. I would love to have one! I haven't heard of this brand. My mom is will be retiring in three months. She's looking to bike more. I will definitely share this brand with her. Isn't it? I was so shocked by how beautiful it was! Thanks for stopping by Skye! You truly can't! Thanks for stopping by! Isn't it awesome?! Thanks for stopping by Alli! Girl, me too! They are so cute! Those bikes are beautiful. Nowhere to ride it, but I'd love to have one.